There's something to be said for solid melodic rock without too much pretense. "Power pop" or whatever you want to call it — the stuff Matthew Sweet, Teenage Fanclub, and the like produce. Touches of psychedelia help, as do clever (or cryptic but evocative) lyrics. And a skillfully wielded wah-wah pedal. 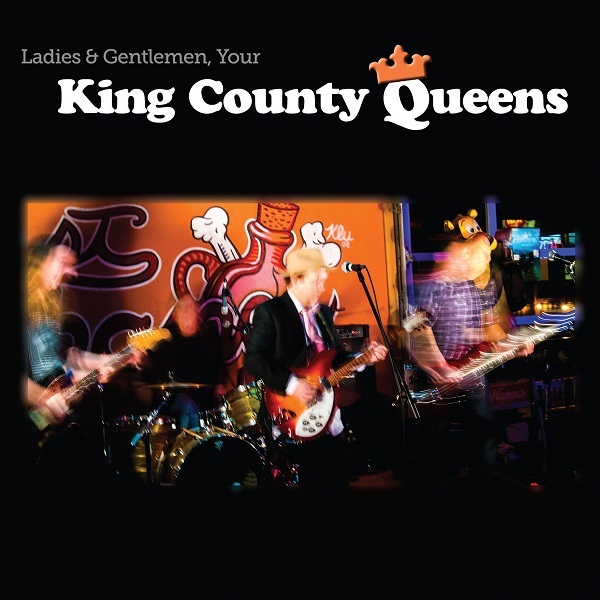 King County Queens are a Seattle-area band with these qualities well in evidence, and who excel at all of them. The melodies are catchy without being simplistic, the chord progressions wander pretty far astray from the basic I-IV-V, the lead guitar is good (with and without wah-wah), and there's a good variety in tempos. And the lyrics! "Psychoanalysis, it only complicates my situation, it's like a paralysis upon the moment of divine invasion. Sometimes you've got to sacrifice the simulacrum, one mind just isn't big enough for the both of them." I don't know what it means, but I love hearing it! A couple of the guys in this band were in an outfit called The Chemistry Set back in the late 80s, and I always felt they never got their due. Hopefully this project will get the attention it deserves. And hey, there's a tune called "Krautrock!" so prog fans should eat it up.